School-aged children need 9-11 hours of sleep per night, but their sleep may be affected by exposure to tablets. If children sleep with tablets in their rooms, they may be more tempted to stay up late and play games, watch shows, or surf the web. But, the device can interfere with your child’s sleep even after it has been shut off. The blue light from the screen tricks your child’s brain into thinking it’s daylight, so he or she may struggle to fall or stay asleep. 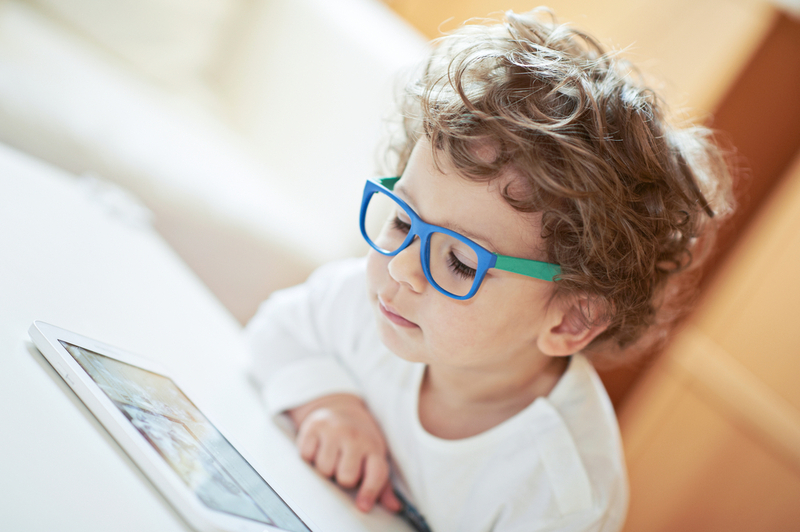 Staring at a tablet screen for a long period of time can cause eye strain, which may affect your child’s vision in the future. In fact, the problem is so serious that it’s recommended that children let their eyes rest every 20 minutes by looking away from the screen for 20 seconds. If your child uses a tablet too long, he may develop aches and pains related to how he is holding the device. For example, his head, neck, and wrists may start to ache because of the way he grips the device. The repetitive motions of tapping on different icons, scrolling through pages, or sending texts and emails can lead to strain injuries, especially in the fingers and hands. The only way to prevent them? By taking a break from using these devices! A University of California, Los Angeles study found that children who have regular access to technological devices had more trouble reading human emotions than children who did not use these devices. This could affect a child’s ability to connect with others or feel empathy. Research has shown that those who spend a great deal of time in front of a screen experience loss of tissue volume in gray matter areas in the brain. This affects the areas of a child’s brain that control planning, organizing, and impulse control, which could severely limit your child’s development. 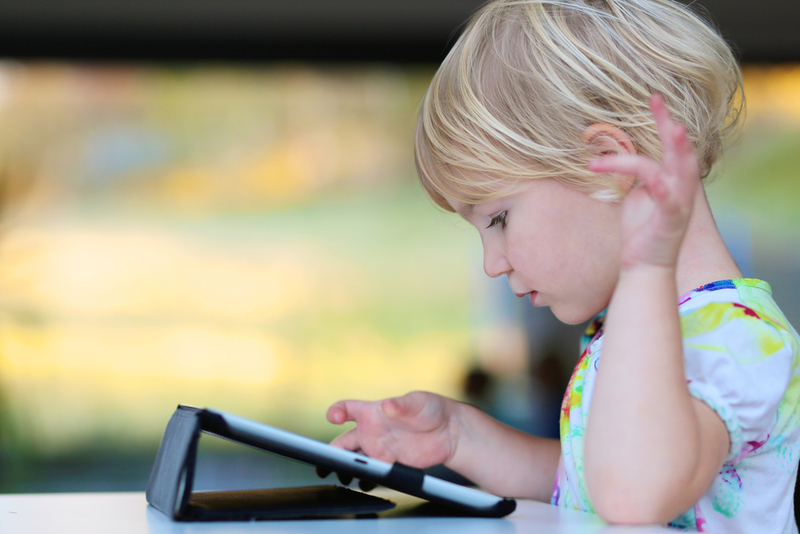 Kids could become addicted to screens if they use their tablets frequently. Research has shown that screen addiction is real. For instance, researchers have found that dopamine is released into the brain when kids play video games. When children listen to their parents reading a story, their brains must process every word and help them visualize what is going on. But, when they use a tablet, the words and pictures are right there, so they don’t have to exert as much effort into following the story. Over time, this may weaken their cognitive muscles and slow down their development. Kids need to communicate face-to-face with parents, classmates, and teachers in order to develop strong social skills. But, the more time they spend on their tablets, the less time they will spend interacting with others. This could affect their ability to foster healthy relationships with other people in their adult lives. People with metabolic syndrome may suffer from obesity, high blood pressure, high cholesterol, and high blood sugar, and are at a higher risk for heart attacks and strokes. Unfortunately, children who spend a lot of time in front of a screen are at a higher risk of developing metabolic syndrome as they get older. These children remained in the high risk category even if they balanced their excessive screen time with moderate physical activity, which shows the only way to lower their risk would be to reduce screen time. 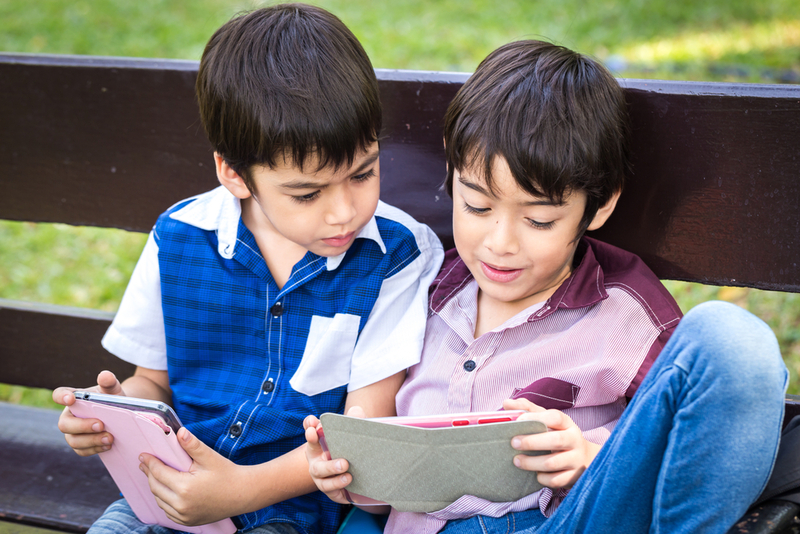 Kids often choose to play violent video games or watch violent shows on their tablets. This love for violence could translate into aggressive behavior as your child grows older. Although there are many benefits to tablets, there are also downsides to using these devices. The next time your child reaches for a tablet, hand him or her a book instead!